*This post is sponsored by L’Occitane. All opinions are my own. This holiday season I received three gift boxes from L’Occitane, along with a set of holiday crackers. I love that gift boxes give you the luxury of trying many new products, and without breaking the bank. 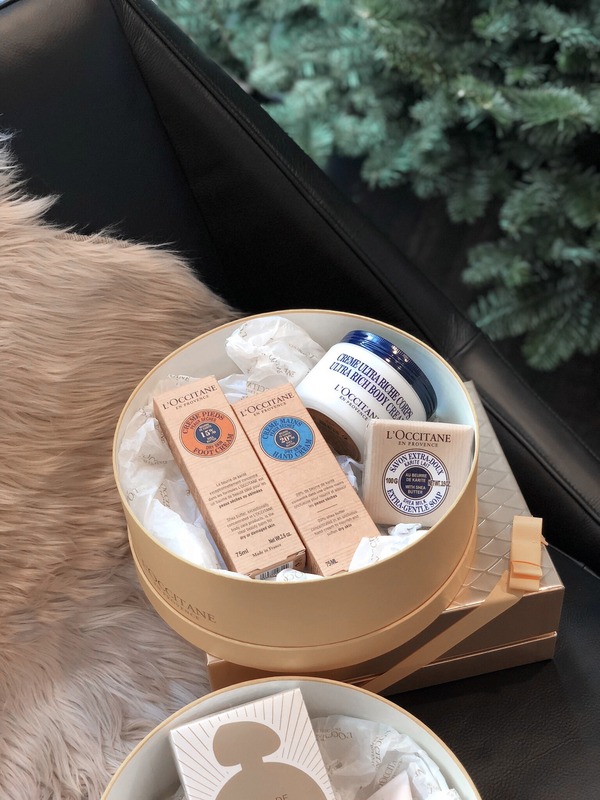 For those of you not familiar with L’Occitane, they offer high quality and sensorial natural beauty products and organic cosmetics inspired by traditions and values of the Mediterranean region. Aside from what’s inside, which I will get to in a moment, can you please just take a second to admire the packaging on these L’Occitane boxes?! The gold boxes are so luxe that they don’t even require gift wrapping. I love how gorgeous they look under the tree– so much so that I’ve decided to leave them there until Christmas morning. My favorite discovery of the three boxes was the Shea Butter collection. I definitely underestimated how dry the climate here in LA would make my already dry skin. Shea butter to the rescue! This Ultra Rich Body Cream is perfect to slather on post shower or before bed. I also particularly like the foot cream as I’ve not come across many of those and that’s definitely an area that could use a little TLC when you live in a climate that allows for sandals 90% of the time. My other favorite would definitely be the L’Occitane Crackers collection. Each of the three crackers has three minis inside – 9 new products to try! Not to mention, they’re the perfect size for travel. 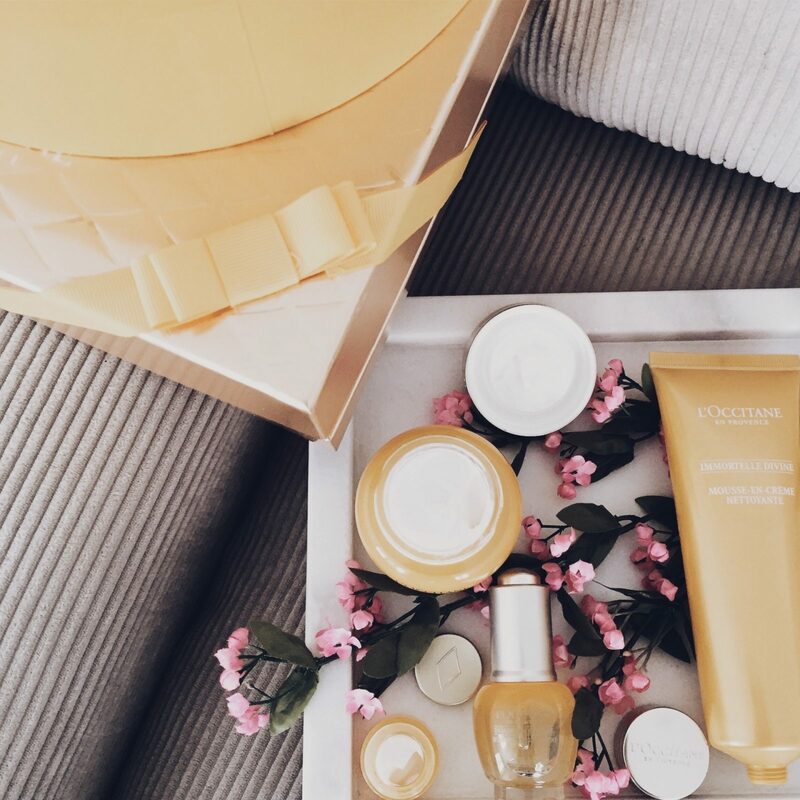 The crackers gave me the chance to try the Almond collection which is quite possibly my favorite scent of all the L’Occitane products. Individually the crackers make the perfect stocking stuffer – or they make the perfect gift as the set of three in which they are packaged. Overall, I’m super impressed with these boxes. The packaging, contents, and value for money. 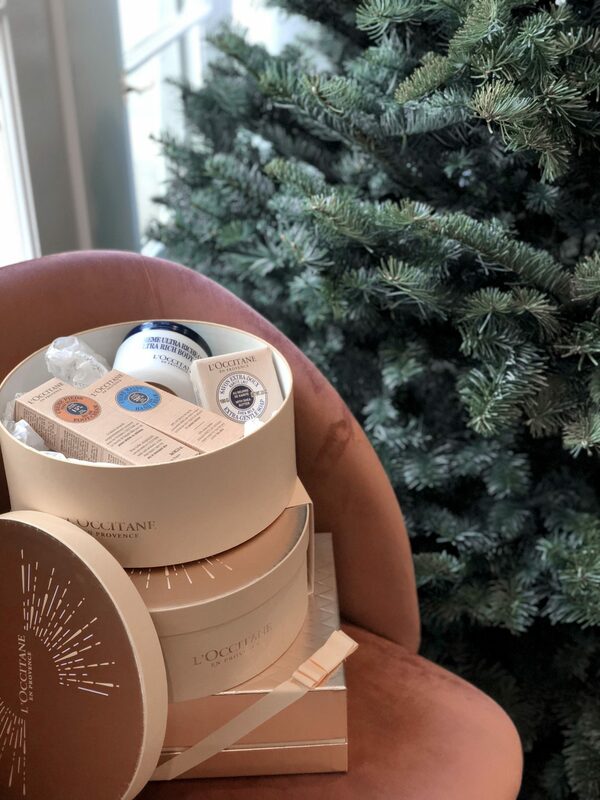 These boxes are a great gift for L’Occitane devotees along with those who are new to the brand.